I admit to being very organized and clean, I like to know what lies ahead so I can prepare for it. But the reason full-time travel appeals to me is because I want the variables that come with it, I don’t want my daily life to be so scripted. However, I will say I do feel better when we have a plan, even if he plan gets thrown out the window, I like to at least start off with one. Getting to the Expo in 20 days wasn’t easy. We were on the move almost everyday, driving 4-6 hours a day then setting up camp in the late afternoons and tearing down in the morning. When we did stay somewhere for 2 nights it was never anywhere that had anything to do and our time consisted of doing laundry and just hanging around our tent. 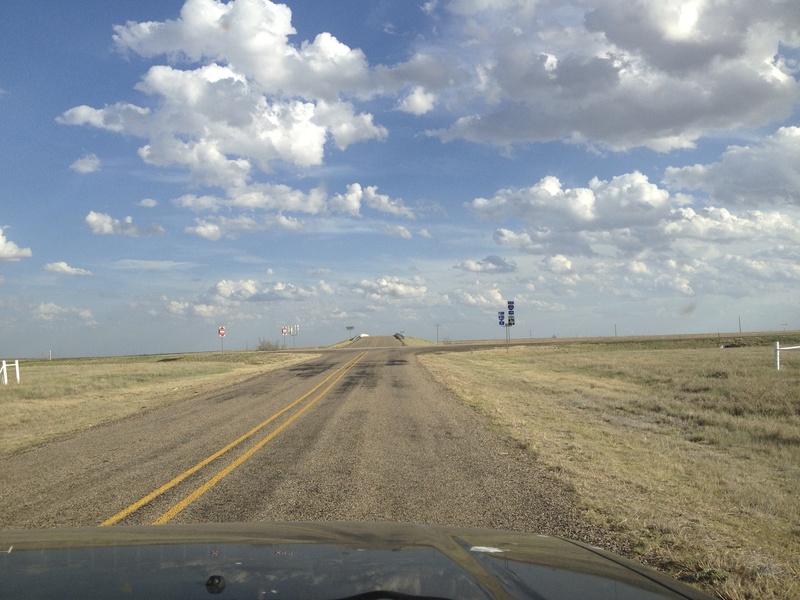 Indiana, Missouri, Texas, New Mexico, Arizona…. Sometimes you adjust the plan, and sometimes that means abandoning the whole thing altogether. Sometimes you have no idea where you are or where you’re going. I’ve been in the habit of mapping our route for a couple of legs, making sure we only drive 4-6 hours a day with stops every few hours but sometimes it is 6 hours to the next camp with nothing to see along the way. Sometimes camp is less than appealing and you think you can push on to the next area without much hassle; almost never is that true. 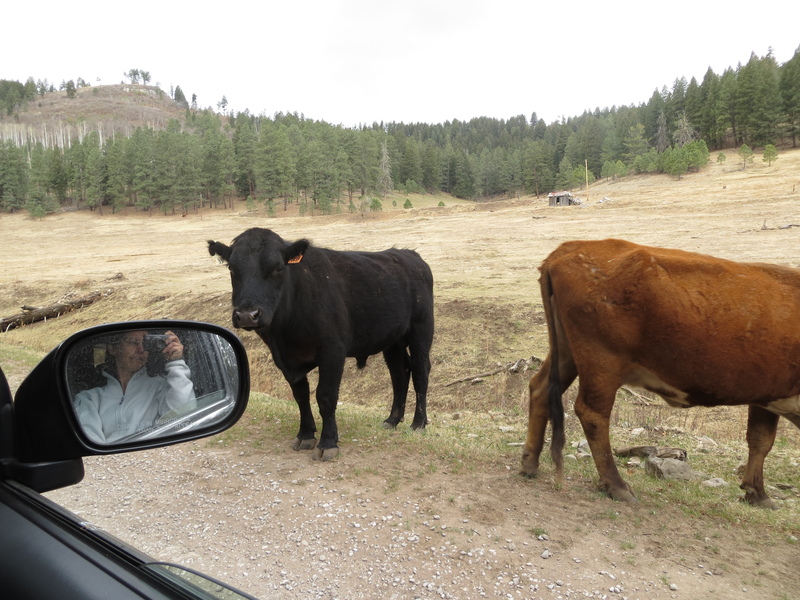 This is how we found ourselves in Cloudcroft, NM. It was a rough day of driving, following a rough few days of driving through dusty desert or wide open plains, barely a tree to be seen. I needed a break, I needed to stop for a few nights, I just needed to be out of the car and feel like I was home (as I do in our tent, but not so much when I have to tear it down in 14 hours). After picking our spot we sat down at the picnic table and made ourselves a sandwich. During that time we both didn’t feel great about this being where we would be taking our break, just vast desert with no hiking trails or water, or, well, nothing. Because we had a plan, we knew our next camp was only about 40 miles away so we decided to push on through. Well, 40 miles later we were more into the nothingness than we just were. We were on our 4th hour of driving and our surroundings told us we wouldn’t be finding any food, or water, or gas anywhere out here and we were not prepared for that. We had about a ¼ tank of gas, and even less water. Every turn we took opened our vision to more vastness. It was clear we were heading up in some mountains and at every peak, we could look out onto the expansive New Mexican wilderness/desert; pretty, although very disconcerting when you’ve got so little supplies. After about a half hour of probably the worst fight Tom and I have ever had, like a mirage we turned a corner and drove into the cutest little mountain town I’ve ever seen, complete with gas, and food, and lodging, and pine trees! With emotions running high we decided a hotel was in order, even though I wanted to, I didn’t want to spend the money and wasn’t too happy about our decision. This is where flexibility is key and letting go of the plan is healthy. After some time in the room recouping, I finally agreed to go to dinner with Tom. 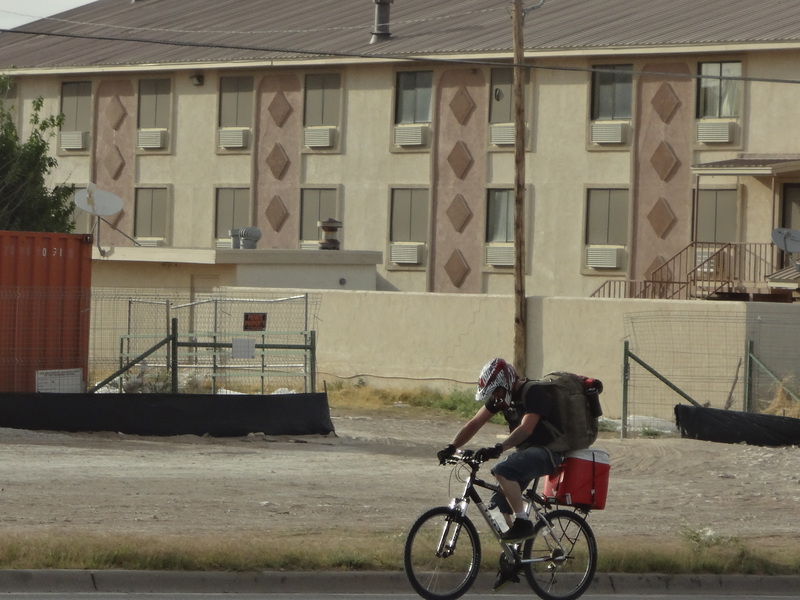 As soon as I stepped out the door I realized the hotel was the best thing that could have happened to us, it was a breezy, cloudy 52 degrees and I was happy to not be in a tent. We stayed in Cloudcroft for 3 nights, switching hotels after the 1st night into one double the price of the first. 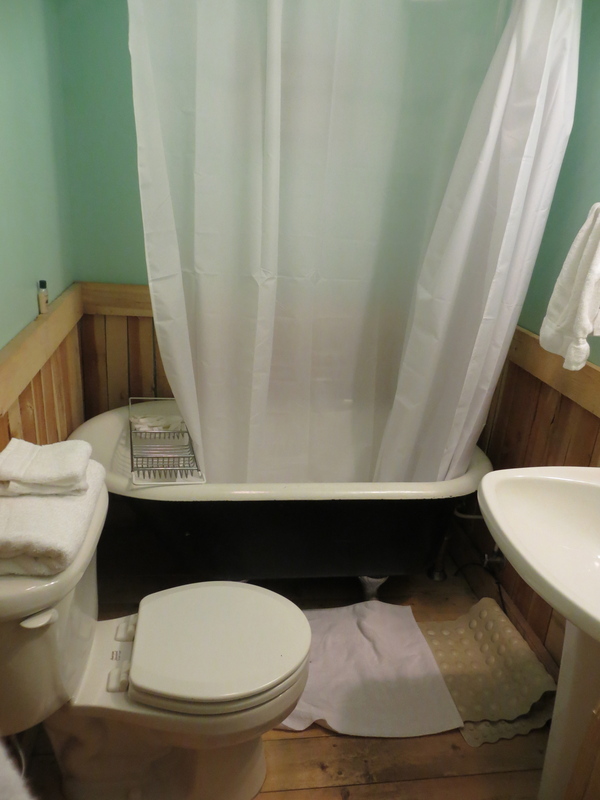 I took a bath, caught up on Facebook, and just enjoyed my rest in a nice room with a kitchen. We did laundry and frequently enjoyed ourselves at the restaurant and bar downstairs. On the first morning at breakfast the whole diner was abuzz about the possibility of rain. I for one, hate rain. Hate it more now that I live in a tent. But sitting there hearing the townspeople so happy to hear that it may rain, it was hard to be upset; plus, I had a nice warm and dry room waiting for me making it easy to jump on the bandwagon. “It’s sprinkling!” I’d cheerfully announce to the shop owner next door, just as I had been in the drought with them all these months. It was the furthest thing from our original plan and it was way out of our budget to stay there, but sometimes the plan doesn’t work so you can have better experiences. Sure, Tom and I fought, but we made up and had a great talk because of it. Sure we blew a lot of money, more than on the entire trip so far, but in that tiny little town (pop. 800) we had a great time. For me, full-time travel is a way to break me out of my orderly life, forces me to change my ways and that’s exactly what I want it for. People think it’s weird that I would want to live in a tent and not know what the next days brings because it is contradictory to how I lived my home life, but that is exactly why I want it. I know that life is your experiences and I know that sometimes the best experiences happen when the plan fails. But things could always be worse, right? 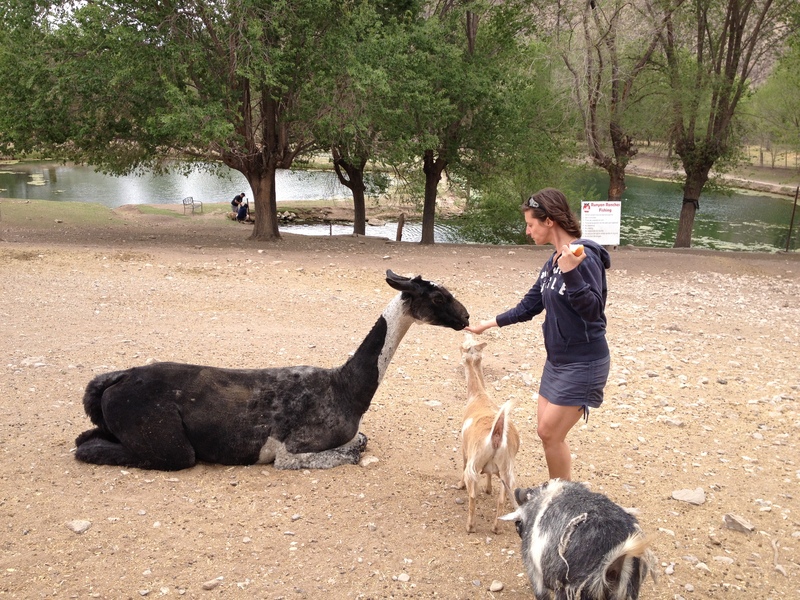 At least I got some animal therapy along the way! Finally, some trees and wildlife!! 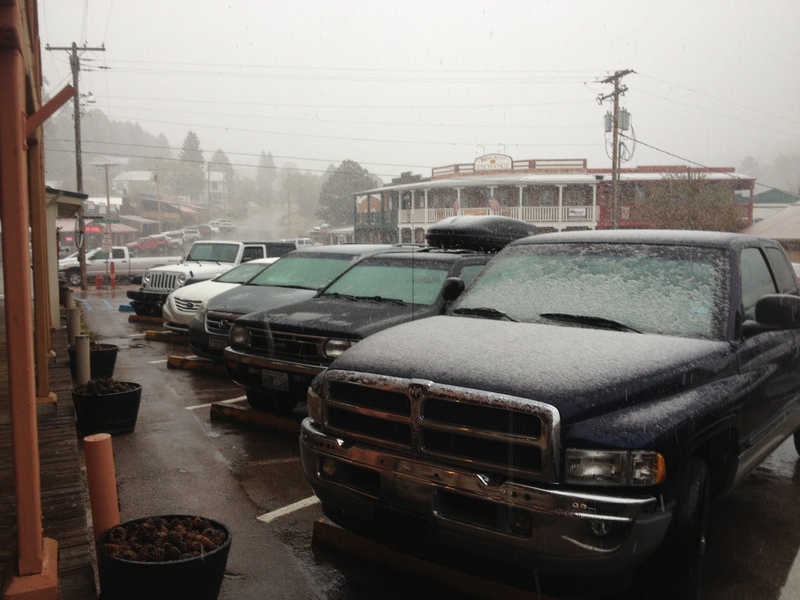 And it didn’t just rain in Cloudcroft, at 9000′ we got snow! And in this tub is where you could find me!